Handcrafted, hand-painted serving board set. 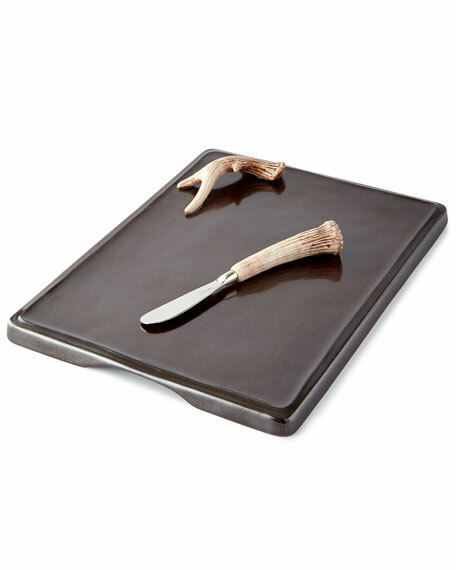 Ceramic stoneware platter with two matching spreaders (one pictured). For in-store inquiries, use sku #2268783.